The sauce is rich with bacon and cream or lean with skim evaporated milk and takes on a slightly spicy flavor from the crushed red pepper . This is a classic Italian dish. Recipe reprinted with permission from Cooking With the Firehouse Chef by Keith Young (Berkley Pub Group). In a large saute pan on medium heat, cook and render fat from the bacon. (If you are using pancetta or , skip this step and just saute it with the garlic.) Once the bacon is almost crisp, remove it from the pan and set it aside. Do not clean the pan. Add the olive oil and, when it is hot, return the bacon to the pan along with the garlic. Saute until the garlic turns light golden brown, then add the onion and saute until it becomes translucent, about 5 minutes. Add the cream and let it reduce by half, then add the tomatoes, red pepper, and salt. Once you've added the cream, put the pasta in the boiling water and cook until al dente according to package directions. Remove the sauce from the heat, add the basil and the cheese, and stir well. Drain the pasta, shock it with a little cold water, and return it to the pot it was cooked in. 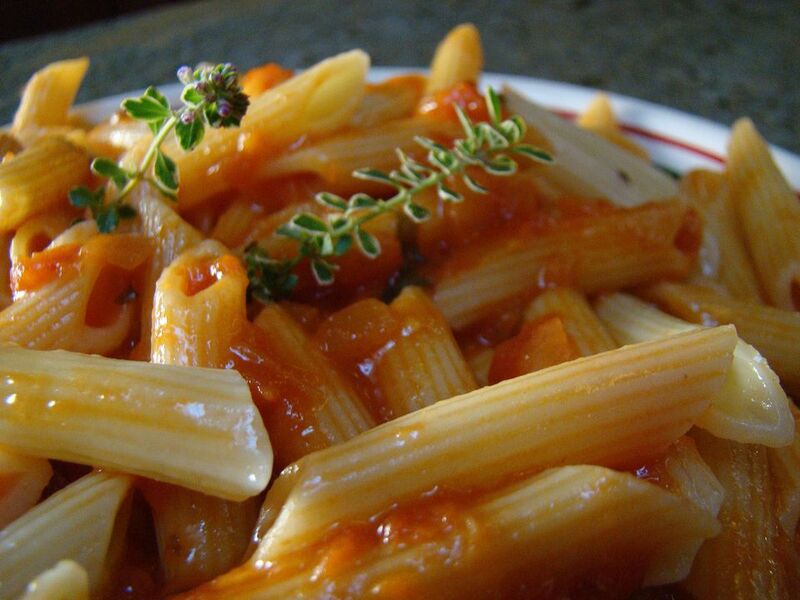 Pour the sauce over the pasta and mix gently until the pasta is coated completely. Serve immediately.